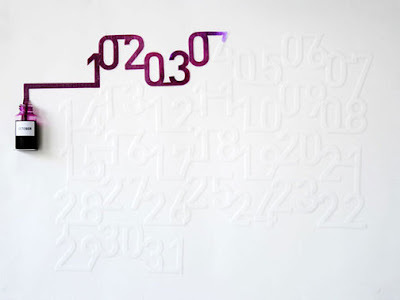 "Ink Calendar" makes use the timed pace of the ink spreading on the paper to indicate time. The ink is absorbed slowly, and the numbers in the calendar are "printed" daily. One a day, they are filled with ink until the end of the month. A calendar self-updated, which enhances the perception of time passing and not only signaling it.